Killed the EM6910 by never changing the calc cartridge. Tried fixing it via a helpful thread on here but no dice steam wise. Anyway, bugger it this thing craps on it from a great height. 1. Sometimes the machine immediately shut down once I turned it on from cold (like first time in the morning), had to press power button couple of times. Do you reckon it's a hardware problem or just software? 2. Is it possible to use older style water filter instead of the new style water filter? the new one is very expensive compared to the old one, and seems to me both quite similar in terms of how they work. The first item is bad news. I would have it fixed or replaced under warranty. The second item? Yes, you can. I use the old style filters in my new style tank/machine. What are the old style filters please? The problem is it occasionally happen, probably 2 times a week. bit hard to claim a warranty in that situation isn't it? Is this the holder to use the cheaper cartridge? In response to Vote2bgod power ON troubles. I have a new 920xl which also experienced this problem couple of times. I think power buttom supposed to latch “power ON” circuit and when you press this button not firmly enough, you can make kind of “double click” which powers the machine ON and OFF in quick succession. It could be the contact debouncing circuit set not right in the software. When I power my machine now, I’m trying to make a good and decisive push and it works good so far. Please let me know if this suggestion works for you. Last edited by Kozakblaha; 18th March 2019 at 11:40 AM. pcrussell50 and inorog like this. Hey folks, I have an old BES900XL that I have repaired a couple of times for low espresso flow (1 ounce in 60 seconds) by replacing the solenoid valve. I believe the 920 uses the same exact solenoid valve but I was wondering if the user descale feature would keep this thing flowing properly without needing repairs for more than a couple of years like my lame 900. If so, I am going to ask Breville to upgrade. Has anyone experienced an Ant infestation in their BES920? I returned home after a week of not using the machine and turned it on to heat up and when I returned found thousands of ants crawling all over it. I unscrewed and opened up the top lid and there seems to be a whole nest of them inside! Even if i try to vacuum them up they just disappear behind all of the hardware and I cant get to them, im pretty sure there are more between the Stainless outer skin and the plastic material inside. Has anyone had a similar experience and could offer some advice? Or alternatively how much would something like this cost to clean? The service centre in Sydney is closed until Monday morning. Not a pleasant Saturday morning! I use scale free water. Like the shops. And like the high end machines like La Marzocco recommend, since they also don’t have de scaling. Yeah - had that about 4 months after I bought mine in 2013... I found them in the bottom of the machine. Anyway - my solution was to dis-assemble the machine, (without getting to the "step 467: remove boilers") and leave it out in the sun for half a day ... the little darlings made a hasty retreat, taking the pupae with them too. After that - I just sprayed two squirts of some mild insect killer stuff over the bottom panel, left it to dry, re-assembled the machine and never had a problem since. Is your machine fixed yet? Please keep us posted what service had to do to fix your problem. That'll be the pump, replace it and should be all good again. Jackster is seeking Ulka EX5 pumps for $25 in the Coffee Hardware For Sale section of the forum, they will be a direct replacement (though have some parts brass instead of plastic like the EP5 that comes in the machine, so better really). Do you think the pump also caused the machine sometimes shut down itself right after being turned on first thing in the morning? Does anyone know where to get these size 007 silicone o-rings (5/32 ID 9/32 OD) for the steam boiler in Australia? It's too hard to order from Amazon America! Maybe it was because I've had an account with them since before the Australian site launched, but it was a few clicks and ordered. Says it will arrive 19-29/4/19. Happy to send you some when they arrive. My BES920 has been doing this since shortly after I got it. One time out of four or five when I turn it on, after about half a second there's a a soft 'oof' like a transformer turning off, and I have to turn it on again. It's been doing it for about a year, the whole time I've had it. A couple times I've had to turn it on three times to get it going. When the warranty gets near the end I might try and get them to replace it because of this. Might be an idea to make a video every time you turn it on so that you have half a dozen clips you can show them to demonstrate the fault. I thought it might be something like the hot water or steam not being completely shut but it's not. It's probably just some sort of internal check failing as it powers up. Voteme2bgod and Kozakblaha like this. Sounds like you have received a kind offer for a fellow Aussie. However, I’m pretty sure that size #007 is not only an American size factor. There should be a metric equivalent as well. If you were following the Amazon USA link I put up here a few times, that was just meant to be a rough guideline for what you are looking for. If you’re in a big enough city to have an engineering supply shop, you could probably find some in person. And they don’t absolutely have to be silicone, either. Any will work for the short term most likely. That should get you back in business and buy you some time to find something else. Also, some blokes here in America have used alternative materials like EPDM and never even considered going back to silicone. They are happy as they are. Is there a single spout portafilter that is compatible with the bes920? Looking at getting one to make it easier to fill taller thermos type cups. Also are there any major differences between the first generation of Bes920 machine's to the ones sold now. We are just in the process of replacing our 5.5 yr old bes920 with a new one. There are no performance differences that will cause the newer ones to make better espresso. The brew path is the same and the temperature control and stability are the same. Some time in the second half of 2017, they added four screws around the bottom facing lips of the group, turning the job of replacing the plastic group collar from a big one, to a piece of cake. Then, some time in late 2017- early 2018, they began using compression tube nuts to hold the water tubes to the tops of the boilers. This may result in not needing to replace the o-rings every two-three years like before. There is also a big fancy new water filter for the tank. But you can still use the old, less obnoxious one. I do that, in combination with scale free water. There is no single spout that I'm aware of, but you can bit a bottomless (or naked) portafilter that has no spouts, which will give you significantly more clearance. The cheapest way to get one is second hand (make sure it's for the 920 not the 900 as the 900 portafilters don't fit in the 920) or from Breville direct. Should be about $70 from Breville plus postage. Part number BES058NP, just call the Breville customer service line and ask for one. Might be an idea to make a video every time you turn it on so that you have half a dozen clips you can show them to demonstrate the fault. That's a terrific idea, will absolutely do that. Meanwhile I'll try to contact Breville regarding this issue and see how the responses. Hi. I'm having an issue with my 920XL. Been s=using it for about five years with a Breville BCG800BSXL Smart Grinder. I use the standard Breville poratafilter with the double shot basket. I descale the 920 every six months, most recently a month ago. I always use LaVazza Super Crema beans. All of a sudden there has been a drop in shot volume, along with an increase in pressure from 8 Bar to 9 Bar. In order to output 2 ounces of espresso it now takes 60 seconds instead of 30 seconds. I tried making the grind a little coarser without effect.I ill continue to manipulate the grind, but am wondering what could cause this sudden change. The only thing that seems to have changed is that the LaVazza bags used to feel vacuum-sealed, with all the air sucked out and the bag tight against the beans, whereas the last two bags are "looser," if that makes sense. It took me quite a while to come up with the perfect combination of grind, amount, and water temperature and it is disconcerting to have that suddenly change. Anyoe have ideas? Just put my BES920 in for warranty at just under 2 years old as was starting to make a hissing sound, probably a leak or seal of some kind. Can anyone confirm if the 19-22g Pullman basket fits in the stock portafilter? if yes can the stock tamper be used? Don't know if the basket will fit, I think it might. I think the Pullman baskets are the same diameter as VST (what I use), in which case the tamper will be too big. If you want a cheap but good fitting tamper for Pullman/VST try the Barista Hustle tamper. If are under warranty, you are good to go. But what you are experiencing is a routine issue that is easy to fix, and will recur every 2-3 years. At some point you will want to learn how to change your steam boiler o-rings yourself. Hi everyone, my machine is three years old now and when I unscrewed the group head, a black plastic ring and a metal ring fell out. From doing some research, it appears it is the inner and outer 'shower screen'. Is it easy to replace? I wouldn't have a clue where to start. EDIT Found a YouTube video, looks pretty straight forward. Last edited by SavageCarrot; 1 Week Ago at 09:05 AM. Yes, shower screen and dispersion disc. Neither should need replacement, just a good cleaning in hot espresso detergent like Cafetto. They should both be available directly from Breville if you have somehow munged yours up. You can also try an IMS Competition shower screen (the CI 200 IM), if you want to play with what some of the, “gotta have everything that’s cool “, crowd. I have one. It’s pretty cool. But I don’t know if it makes better espresso. Does anyone else use the smaller single walled filter basket? I recently purchased some accurate scales and realised I've always been using around 13g in the smaller basket. It seems the general consensus is that the small basket takes around 10g of coffee grind, but if I add only 10g the tamp will hit the side of the basket walls as they slope inward meaning the grind is hardly compressed at all, leaving gaps. TLDR: 10g in the small filter basket is too little resulting in a soggy mess. How much do other single shot users add? Edit: With more research it seems around 11.5g - 12g for the smaller filter is more common. Going to try 12g with a slightly finer grind. Last edited by Jebus; 1 Week Ago at 12:21 AM. How much do other single shot users add? Those numbers give me a 1:2 ratio. Hi everyone, a problem recently has started happening to my beloved BES920. I had it on a setting of 'Vol' of around 36g for a 2 cup, but now it simply doesn't work, it shuts off at around 22seconds, which is only about 8-10g. If I change the settings to Sec it works fine, but appears the vol sensor might be wonky. Any ideas of what I should look at, or will a service fix this? I tried to factory reset, but didn't seem to fix the issue. You could use the manual button. A much more hands on experience. Hi , I am looking for some advice I have purchased a non-working Bes920 that I would like to fix, the machine powers on and gets up to temp , but when I turn on the hot water or try to get water out the grouphead nothing comes out and the pump does not run . The steam works weakly but with the steam on the steam pump does not run . Roughly how often should I be changing the filter cartridge in the tank. I live in Bendigo and the water is not too hard. Better than Mildura and no comparison with Alice Springs which is full of calcium and/or lime. I'm guessing similar to Melbourne not that I have lived there for 30 years. We make about 6 double shot espressos a day on average. Replace it every 6-8 weeks. You should be descaling regularly enough that hardly any scale shows up in the water when you do (remove the filter before descaling). How often that should be will depend on your water, I do it every 3 months in Sydney which is probably overkill but I still see a few bits floating in the water out of the steam boiler when I do. Thanks mate. It is about that now. Haven't done any maintenance, it's due then. I killed our em6910 with no maintenance. I don’t use the Breville in-tank filters because I use an ion exchange softener like the coffee shops use to keep scale from forming, thereby avoiding having to descale at all. BUT I do have a hardness testing kit that tells me when Ca or Mg hardness starts appearing in my water, which in turn is when I change the softener element. A hardness test kit might be very informative to anyone who uses the Breville filter as you could tell when it loses effectiveness and the time comes for replacement. Just a heads up for any-one contemplating a new BES920 or Smartgrinder....Bing Lee have 20% off on their Ebay site ending tomorrow (20April) brings the cost down to around $720 and $160. That is very cheap. We paid 1299 in a combo pack at hardly normal about 2 months back. Bing lee had no stock at that time unfortunately. As long as your filters are removing all the chlorine too you'll be ok. The Breville in tank filters, at least the older style I use, have charcoal to remove the chlorine as it eats through stainless steel boilers if left in the water. Officially a BES920 owner since yesterday. Just playing around with the machine today. Bought some cheap pre-grounded beans from Aldi Lazzio (medium). Taken off from aldiunpacked. When I opened the bag the first thing I noticed was the grind size, didn't look fine enough for me to be espresso grind. Either way, gave it a try. Started off using a single wall 2 cup filter basket but the bar pressure didn't go any higher than 3. So I had to use a dual wall 2 cup filter basket to see if it made a difference, and it did. However, when the shots were coming out, it did some squirting. Could this possibly be caused by the grind size of the coffee? Initially I thought I didn't tamp the beans hard enough which I tamped really hard the second time, it still did the same thing. The preground beans are going to be too coarse and too old to get a proper extraction. You have up use the dual wall baskets and even then it's pretty how's it going. 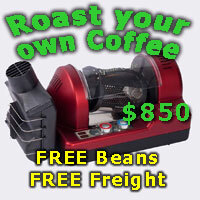 You'll be fine with good quality freshly roasted and freshly ground beans. Thanks. That was exactly what I thought. I suppose I should go on to find a grinder now. Are there any good sub-$500 grinder that can do both filter & espresso grind reasonably well other than Breville Smart Grinder Pro?